I just read an article about IT Cosmetics in the New York Times about a week or so ago, so they’ve been on my radar. So I was not that surprised when one of their products was in my Limited Edition CEW Birchbox this month. I have zero use for a new brow product, I’ve been using two products, this one and this one, for years. But still this pencil was in my Birchbox so I had to try it. At first I ignored it but then one day decided to pick it up. Instantly I was in love. This is not the brow pencil I used to use in highschool which would leave my brows so obviously filled in, no this was entirely different. It really added subtle depth to my brows making them look more intentional and groomed. 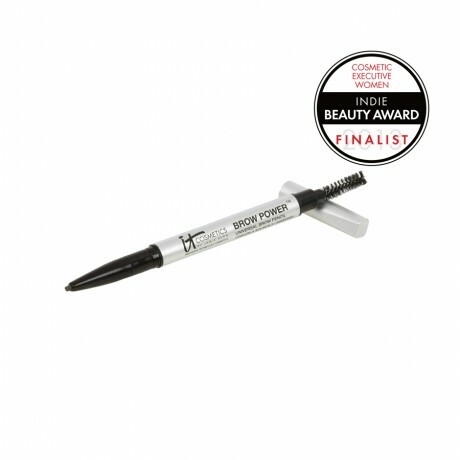 The brow pencil when used with a light hand has a great effect and is not pencil-y at all. I’ve been using it ever since I got it to the exclusion of my other brow products and have been super super happy with it.